This talk was a particularly special one, as I first met Stephanie Chase in 1989 while a student at the University of South Carolina. At that time she was performing as soloist with the South Carolina Philharmonic Orchestra and I had the good fortune to perform Mozart’s E Major Adagio for her. Many years later, while a member of the New World Symphony, another opportunity came to work with Stephanie, and that master class performance was of Edward Elgar’s mammoth Violin Concerto (which, incidentally, was also performed by a student in the South Carolina master class). Stephanie Chase is definitely a “musician’s musician” and a shining example of twenty-first century virtuosity. Equally at home performing the standard violin repertoire, historically informed performance practice and contemporary music, Ms. Chase offers “refreshingly stylish” (St. Louis Post-Dispatch) interpretations that reflect her endless and fruitful sense of curiosity. In this performance with the San José Chamber Orchestra, audiences will be treated to Ms. Chase’s arrangements of Pablo Sarasate’s Caprice Basque, Romanza Andaluza and Ziguenerweisen. Ms. Chase’s extensive work in historical performance practice has also fueled the depth of her compositions. 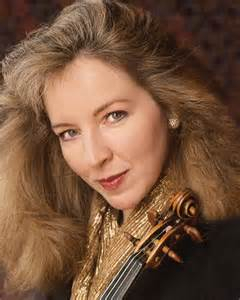 “I started writing my own cadenzas for baroque and classical works in my early twenties, and it was through that work that I eventually wrote my own cadenzas for the Beethoven Violin Concerto.” Ms. Chase’s landmark recording of that concerto, made with Roy Goodman and the Hanover Band and released in 1993 on the Cala label, has received critical acclaim worldwide. The first ever period-performance of the Beethoven Violin Concerto, this recording has been hailed as “one of the twenty most outstanding performances in the work’s recorded history” by Robin Stowell in Beethoven: Violin Concerto (Cambridge University Press) and equally praised in a review by noted scholar H. C. Robbins Landon. “In this arrangement of Zigeunerweisen, I put the woodwind and brass parts into the string sections, and am so looking forward to taking this to the first rehearsal as I have been working on these since early autumn.” Other notable arrangements include “A Fantasy about Carmen,” which was a work she created for string orchestra was premiered in 2005 in Zankel Hall (Carnegie Hall) in a performance by the orchestra of the Perlman Music Program, and arrangements of both Manuel de Falla’s Siete Canciones espagnolas and one for string (double bass) quintet of the Sonata in D Minor for violin and piano, Opus 108 by Johannes Brahms. The development of a true understanding of so many aspects of performing and musicianship is something that Ms. Chase regularly shares in master classes and to her students at the at the Steinhardt School of Culture, Education, and Human Development at New York University. “I always encourage my students to keep exploring – which includes working from Urtext editions as well as knowing the origins of those sources, as well as finding about as much as one can about composers and trying to translate that information”. “I feel that there is always the possibility of growth in interpretation, and I am always reconsidering,” Ms. Chase shared near the end of our conversation. “ Interpretations are not set in stone, and I relish being open to thinking and performing differently, as well as to gaining insight from playing chamber music and collaborating with great conductors. To become a great musician, you have to be a detective, which includes looking at sources and deciding how to present yourself.” For more information on Ms. Chase, please visit www.stephaniechase.com. 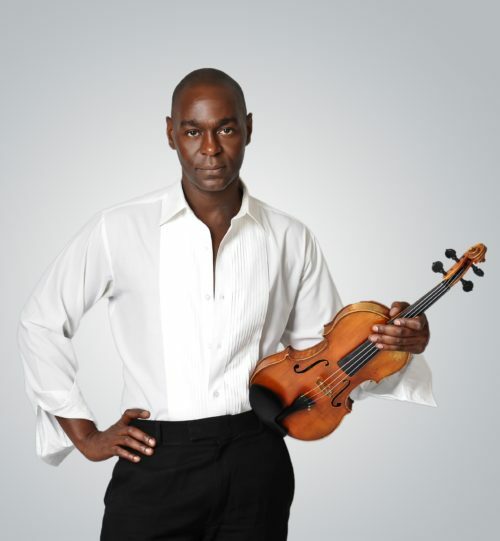 Samuel Thompson currently lives in Baltimore and performs regularly as a violinist with both the Delaware Symphony and Black Pearl Chamber Orchestra. As a writer, he is a regular contributor to violinist.com and has contributed to both Strings Magazine and Nigel Kennedy Online. You can read more of his work at samuelathompson.blogspot.com. 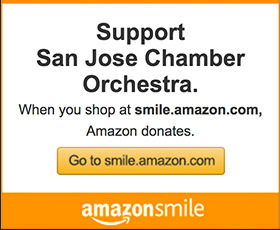 The San José Chamber Orchestra is funded in part by grants from the City of San José, Office of Cultural Affairs and Silicon Valley Creates in partnership with the County of Santa Clara and the California Arts Council. Copyright © 2019 San José Chamber Orchestra. All rights reserved. SJCO founded in 1991.